Protein is the main nutrient for muscle growth and construction and beef is one of the most complete sources of protein available that sports high content in all 8 essential amino acids. 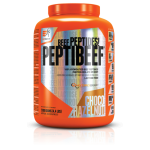 The very high biological value of beef protein makes it extremely digestible and can be easily utilized by the body. Hydrolyzed beef protein is high in selenium, folic acid, vitamin B12, iron, and thanks to the most advanced methods of production, saturated fat and cholesterol are completely removed. 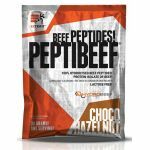 Beef protein should be an integral part of every muscle building program as it is fully digested and completely absorbed, while it is by nature free of lactose. This is why beef protein is the ideal protein choice for people who suffer from any type of allergy or intolerance to dairy products.